Gabriel García Márquez. Wikimedia/Festival Internacional de Cine en Guadalajara. Some rights reserved. It was the Pinochet coup in 1973 that brought us together in Mexico, where Juan Somavía, a Chilean exile had formed ILET (Instituto Latinoamericano para Estudios Transnacionales). The board of ILET was put together by Gabriel García Márquez, the former Foreign Minister of Chile, Gabriel Valdés, the Swiss, Marc Nerfin, and Brazilian anthropologist Darcy Ribeiro. That same year I was invited onto ILET's board. ILET was to serve as a base for scientific study of cross-border problems in Latin America, but also as a foreign hub for the resistance against Pinochet. 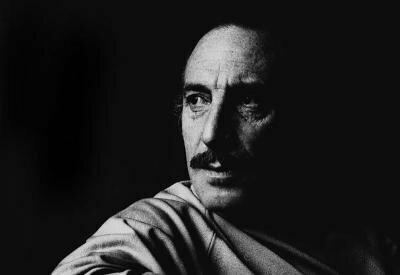 Valdés came hotfoot from his exile in the United States where he had been working with Salvador Allende's former defence minister, Orlando Letelier. Orlando was Allende’s last Minister of Defence. Imprisoned by Pinochet, he was only liberated thanks to an international campaign. He went to the US and from there became a leading figure against Pinochet. In 1976 he was assassinated in central Washington D.C. together with Ronni Karpen Moffitt, an US colleague from the Institute for Policy Studies, by Pinochet’s agents working with the CIA. Another good friend, Saul Landau, who recently passed away did the investigation into Letelier and Moffitt’s assassination. It was thanks to these dramatic circumstances that the foundations were laid for my friendship with Gabriel García Márquez, who would later write a dedication of the novel Chronicle of a Death Foretold (1981): "Para el latinoamericano que vino del frío” (To the Latin American who came in from the cold). During ILET meetings we had long discussions about the future of Latin America with Gabo (his nick name), who had publicly proclaimed that he would not publish any new works while Pinochet was in power. He finally admitted that he had written one, but it was locked away in a safe. In 1975 he changed his mind and released Autumn of the Patriarch, not surprisingly an innovative fiction about an anachronistic dictator and his inglorious downfall. Since then we have kept in touch over the years. Gabo could call for assistance to a natural disaster in Colombia, introducing Colombian delegations visiting Sweden, or urging us to trust the advice of his friend Juan Manuel Santos of Partido Social de Unidad Nacional regarding negotiations with the FARC and ELN guerrillas. Gabo was proved right. When Santos became president of Colombia in August 2010, he began serious negotiations with the guerrillas. 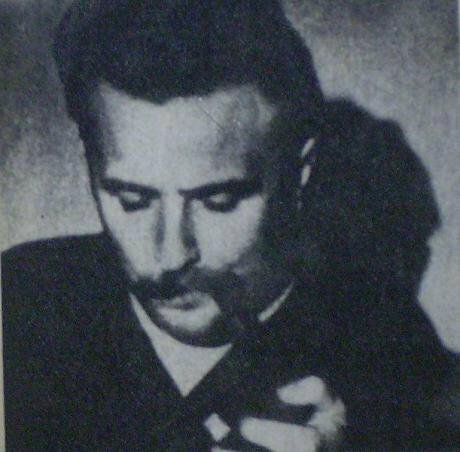 We usually met up in Mexico or when he visited Barcelona or Paris with our common friend Régis Debray, who was imprisoned in Bolivia after having joined Che Guevara and his guerrillas. In 1982 when we met at a restaurant on the Boulevard St Germain, Debray was an advisor to President Francoise Mitterrand. I had recently had the great pleasure to be the first person to inform him about the Nobel prize, at five o'clock in the morning in his home in Mexico, and Gabo asked us for advice on what subject he should choose for his acceptance speech at the Nobel ceremony. Of course Gabo did not need any advice or co-writers, but the prospective laureate wanted to know how far he could go with the, "most important speech of his life". He was at that time deeply concerned that a major war was about to erupt in Central America, and thought that it could only be stopped by a strong world opinion. Nicaragua, Guatemala and El Salvador were already in flames. And the United States was fuelling the fire by supporting an insurgency against the Sandinistas and by their counterinsurgency policies against the guerrillas in the latter two countries. He was also unsure about the dress code for the event. He disliked the required dress, the “frack”, a tailcoat with white tie. "I would look like a penguin" he said and was happy to learn that national costumes could be admitted. Both the royal family and the normal citizens were treated to Gabo that day in his beautiful Colombian white shirt, a liqui - liqui, amidst the penguins amongst whom Régis Debray and I, part of his delegation, were compelled to number. The protocol challenges, however, did not finish there. At a party at the Stockholm City Theatre , where Gabo was to be hailed by Latin Americans living in Stockholm together with Swedish cultural workers, all the participants were pleasantly surprised when they received a small bottle of Cuban rum at the entrance. The explanation for this extravagance came next day. Cuba's ambassador to Sweden was called by the Ministry's Chief of Protocol to be reminded that it was not allowed for alcohol to be distributed or consumed in public places. The ambassador explained that Gabo had been obliged to fly to Europe via Havana because the US had refused entry to the ”Communist”. Castro having learned about the party, immediately dispatched one thousand half bottles to the embassy in Stockholm. 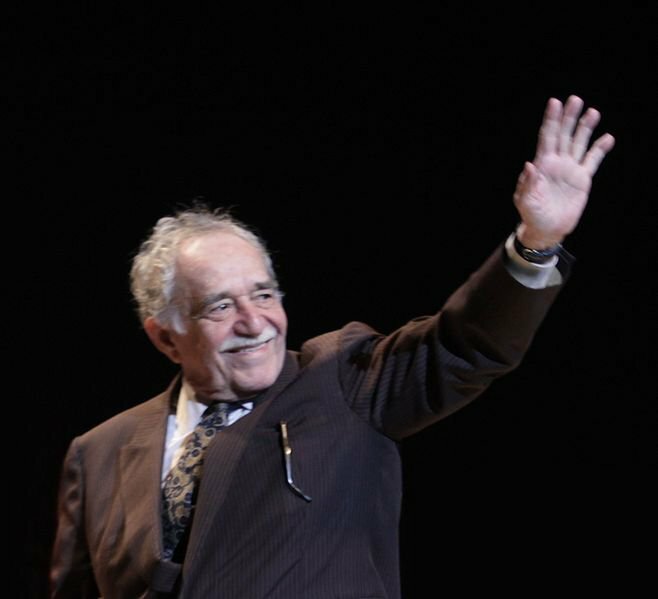 After our dinner in Paris, Gabo decided that the speech would be both literary and political. On December 8 he made his exposé of Latin America's beauty and cruelty, and the loneliness that weighed on the continent. It was beautiful but full of despair and anger. He told me he had not slept in three days. “Much has happened since Pablo Neruda won the Nobel Prize in 1971”, García Márquez said in his address to the Swedish Academy. Salvador Allende, a "Promethean president", died in the burning presidential palace, La Moneda. Unexplained accidents had killed two other progressive Latin American presidents. Five wars and seventeen military coups had taken place. Meanwhile, 20 million Latin Americans had died before they were one year old - more than would have been born in Europe since 1970. Due to political repression, close to 120,000 adults had been disappeared, as many as the entire number of inhabitants in the city of Uppsala. And just because they tried to change the state of things almost 200,000 men and women died across the continent. 100,000 of them were killed in only three Central American countries: Nicaragua, El Salvador and Guatemala. If this had happened in the United States, the corresponding figure would amount to one million six hundred thousand violent deaths in four years. Over a million had fled from Chile after 1973; this meant 10 percent of the population. Any land able to contain all those forced into exile in Latin America, would have a population larger than Norway. "I dare to believe, that it is this unusual reality, and not just its literary expression, that has merited the Swedish Academy's attention". "Why", he continued, "is the originality accorded to us so willingly in our literature, so incredulously denied us in our laborious attempts at social change?" The next evening, Swedish prime minister Olof Palme gave a dinner at the Prime Minister's residence, Harpsund. It was Palme's custom to invite the winner of the Nobel Peace Prize, awarded in Oslo, to come to Sweden. This time the event was to be a “salon of peace and literature”. Palme invited the two 1982 Nobel Peace Prize winners Alfonso García Robles of Mexico and Alva Myrdal of Sweden as well as García Márquez and his wife Mercedes. To the guestlist Olof and Lisbet Palmer added the Turkish poet and politician Bulent Ecevit (who had been jailed by the Turkish military junta) and his wife Rashan, Régis Debray, Swedish writers Sven Lindqvist, P.C Jersild and his wife, President Mitterrand’s wife Danielle, the foreign minister Lennart Bodström and his wife , Ulf Hjertonsson from the Swedish Foreign ministry, my wife Maud and I.
Ecevit whom Palme and I had met before his house arrest was denied travel to this “political meeting in Sweden” by the junta. That is why we changed the title of the dinner/salon. About this "dinner for Peace" Gabo wrote a column in the Spanish newspaper El País. One of the central topics during the conversation was the serious situation in Central America. (A few weeks before Gabo, Debray and I had a conversation about this deterioration with President Francois Mitterrand). At the dinner Gabo, Régis and I received from Palme the assignment to write the draft of a peace appeal to be sent to a number of Latin American presidents. 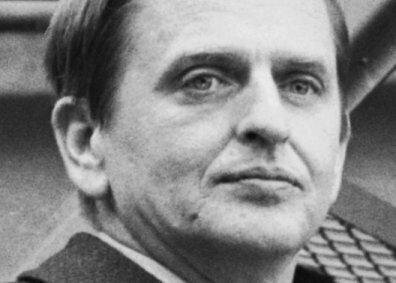 The result was the Harpsund Appeal that was signed by the three Nobel Laureates and prime minister Olof Palme. It said: "Never has the danger of widespread war in Central America been so imminent, and yet the potential for peace has never been greater. We appeal to politicians and military personnel in the region to begin negotiations immediately without preconditions. A first step is to stop all deliveries of weapons, all weapons traffic and all military assistance to and within the region, and to respect the territorial integrity of all concerned countries”. The statement was of course directed against the Reagan administration´s escalating warfare by proxy against Nicaragua. García Márquez took the statement to Belisario Betancourd, the president of Colombia, who in turn submitted it to his colleagues in Mexico, Venezuela and Panama. In early 1983 Betancourt convened them in a meeting on the Contadora Island, and so the Contadora Group for Peace in Central America was born, still today a model of regional frameworks for peace agreements. The group reiterated the demands from the Harpsund Appeal: respect for the borders of sovereign states, in this case of Nicaragua, and the reduction of military armaments in the region. Contadora showed to the world, and especially the US, that Latin Americans themselves wanted and would try, without outside interference, to bring peace to the region. This is how I remember Gabriel Garcia Marquez, Gabo, an incomparably brilliant writer and a committed peace activist.